SEN. SUSAN COLLINS DELIVERED ONE OF THE BEST SPEECHES A U.S. SENATOR HAS EVER MADE ON THE SENATE FLOOR … SEN. COLLINS BRINGS MATURITY BACK TO THE SENATE … THANK YOU! This afternoon Sen. Susan Collins (R-ME) delivered one a the greatest speeches ever given from the U.S Senate floor. Sen. Collins announced her decision to vote to confirm Judge Brett Kavanaugh to be an associate justice of the U.S. Supreme Court. In doing so she provided an incredible review of judge Kavanaugh’s judicial past as well as the sexual misconduct allegations. In the end Collins stated, The facts presented do not mean that Professor Ford was not sexually assaulted that night or at some other time, but they do lead me to conclude that the allegations fail to meet the more likely than not standard. Therefore, I do not believe that these charges can fairly prevent Judge Kavanaugh from serving on the court. Mr. President, I will vote to confirm Judge Kavanaugh. Americans have to remember, this tremendous speech supporting judge Kavanaugh and the rule of law did not come from an old, white, Conservative man. 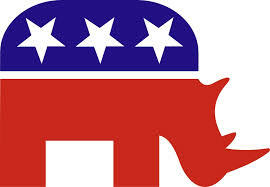 It came from a moderate Republican from Maine, who many deem a RINO. And still the left comes out with their knives and are rabid. They LEFT, who have become insane, and out of touch with America, have turned on what they had considered one of their own. Let this be a lesson to Sen. Collins. The left only likes you when you agree with them in lockstep, if you do one thing that is adult and for the good of the country they go after you. JUST WHO COMMITTED THE CRIME? In one of the most damning moments of from Thursday’s Senate Intelligence Committee hearing during questioning from Senator Susan Collins (R-ME), former FBI director James Comey admitted that he leaked the Trump memo. Legal scholar and analyst Jonathon Turley asked the question, did Comey violate the law when he leaked this Trump memo to his friend, Columbia Law School Professor Daniel Richman, and directed him to leak it to the media? Like clockwork, the leaked memo showed up in the New Your Times. Comey admitted that leak after Sen. Susan Collins, R-Maine, asked him why he kept those memos, and then asked if he ever shared any of them outside the Department of Justice. Comey replied by saying that after Trump hinted on Twitter that he might have tapes of discussions between the two men, he thought it made sense to release his memo, and admitted he was hoping it would create the need for special counsel. RINO Maine Senator Susan Collins Says She Might Support Hillary Clinton … Really You Would Support Someone Who Broke Federal Law? Have you ever wondered why it seems the Republican party does don’t stand up to Democrats and Barack Obama? Have you ever wondered why the GOP party does not seem to represent you nor the Republican party platform? Look no further than the liberal Republicans in the party like Sen. Susan Collins from Maine who stated she would not ruling out supporting Hillary Clinton. UNREAL. Welcome to the RINO’s that have destroyed the GOP. Who the hell in their right mind could call themselves a Republican and then state, I want to continue another 4 more years of Obama, 4 more years of this pathetic economy, 4 more years of increasing the debt to out of control numbers? 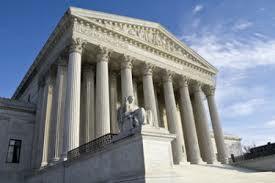 What Republican would allow a lib like Hillary Clinton select 2, maybe even 3 Supreme Court Justices? Are you frigging nuts Se. Collins? Do us a favor, just change parties or retire. Oh and by the way, are the comments that Trump made about a La Raza (The Race) judge really worse than the actions Hillary Clinton took as Sec. of State and her private email server when she broke federal laws, Federal Records Act (18 U.S. Code § 2071)? US Senator Susan Collins (ME-R) was on CNN’s ‘State of the Union’ with Candy Crowley this morning discussing the recent revelations that the IRS was illegally targeting Conservative organizations like the Tea Party. Collins stated that the IRS’s apology and reasons for targeting Tea Party groups did not pass the smell test. Collins went on to say that the IRS’s actions, “This is truly outrageous. And it contributes to the profound distrust that the American people have in government.” She also stated, ”And I think that it’s very disappointing that the president hasn’t personally condemned this and spoken out.” The president needs to make it crystal clear that this is not acceptable in America. Collins also said she doesn’t believe that the case was a result of just a few “rogue” IRS employees. These comments are coming from A RINO from Maine, hardly the right wing. President Barack Obama found time to condemn the police in Cambridge, MA when Obama acted “poorly” and he found the time to condemn how the police initially handled the case of the death of Trayvon Martin. But when it comes to Conservative groups, the Tea Party and the IRS acting with an enemies list, the cat has Obama’s tongue. President Barack Obama should personally condemn the Internal Revenue Service for putting extra scrutiny on conservative groups applying for tax-exempt status, Sen. Susan Collins said Sunday. The Maine Republican said the disclosure that a government agency would go after groups with “tea party” or “patriot” in their names would only add to a growing sense of mistrust Americans have in their government. She was one of a number of Republicans who blasted the IRS on Sunday’s talk shows. Rep. Mike Rogers, who chairs the House Intelligence Committee, called for a full investigation of the IRS’ practices. A congressional investigation would probe who knew what and when, Rep. Darrell Issa told CNN Sunday. Issa is the chairman of the House Committee on Oversight. “The fact is if you’re doing something and it’s wrong, it’s illegal, it’s the kind of thing that scares the American people to their core, when Americans are being targeted for audits based on their political beliefs, that needs to change,” he said.